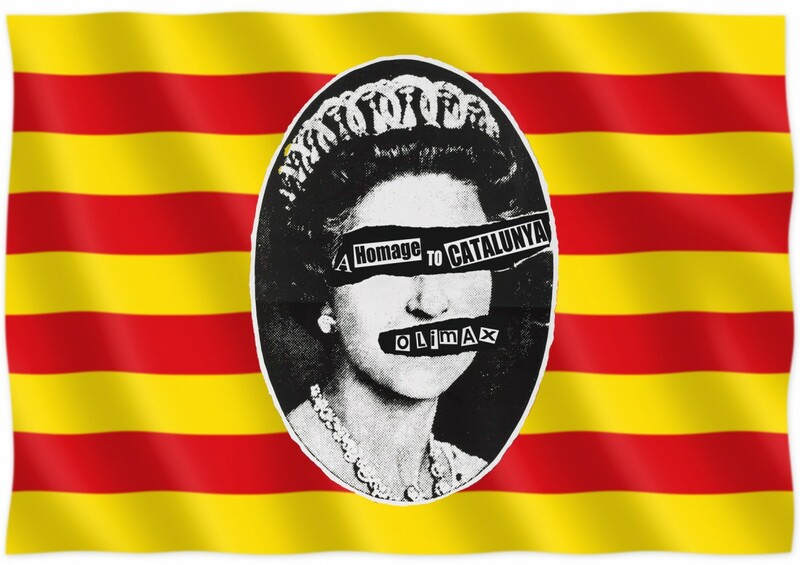 Olimax’ tribute to his adopted home, Catalunya. 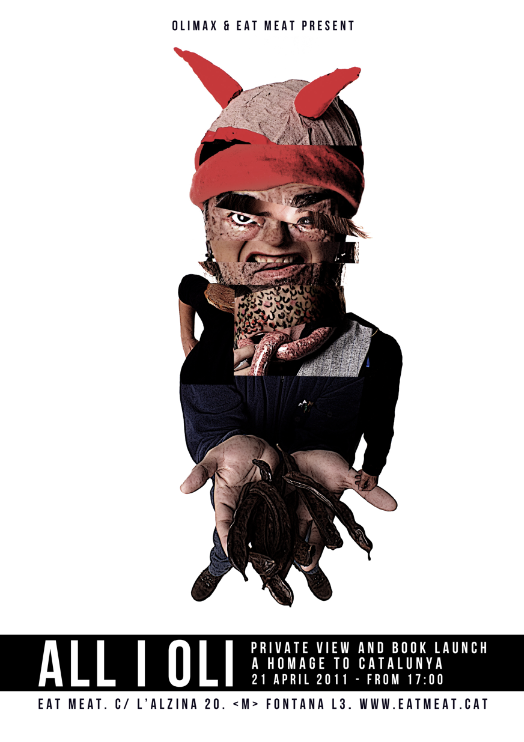 Portraits of 100 subjects, shot in a single day at the Eat Meat Raw gallery in Barcelona. Event, Book, Exhibition and film, and not forgetting edible portraits. 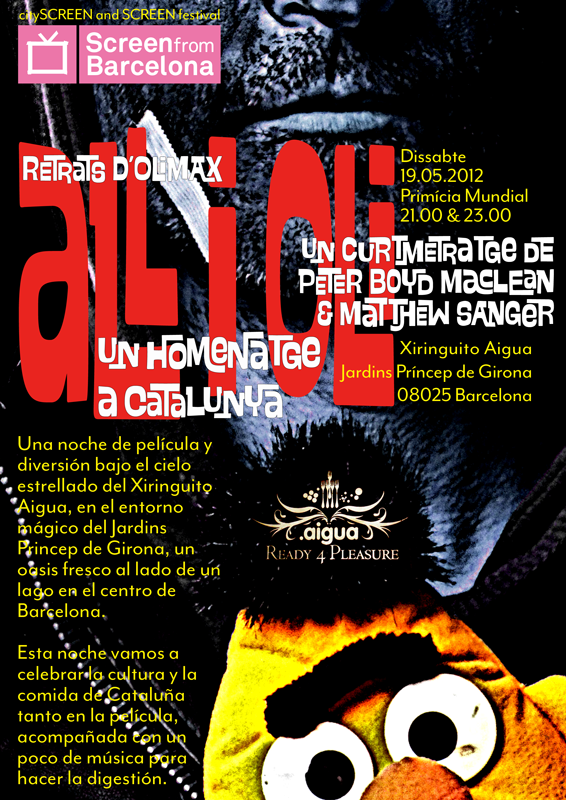 Eat Meat and Olimax invite you to participate in an all day mass portrait event, Homage to Catalonia, on 26th November, 2011, for a forthcoming exhibition and book. You, the subject, are asked to bring a relevant item, to be included in your portrait, that represents Catalonia or Barcelona to you. 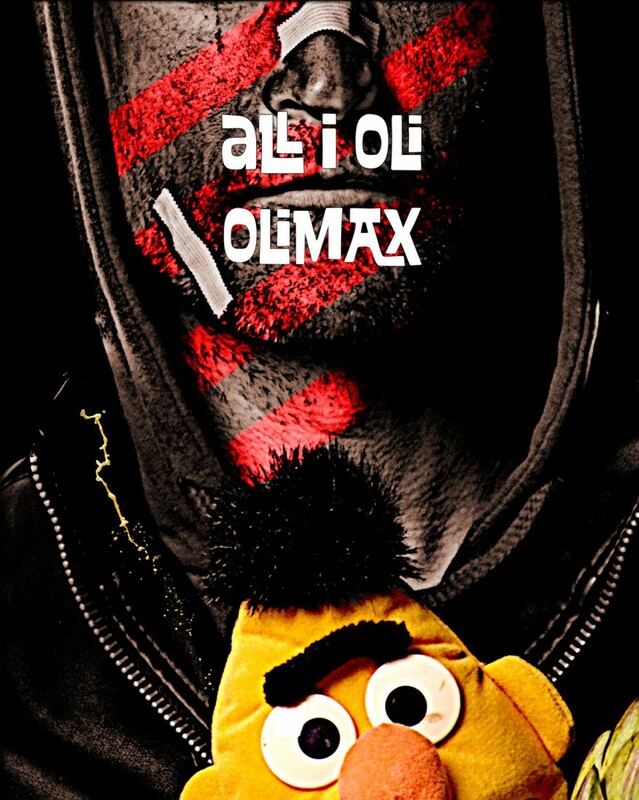 Olimax' tribute to his adopted home, Catalunya. 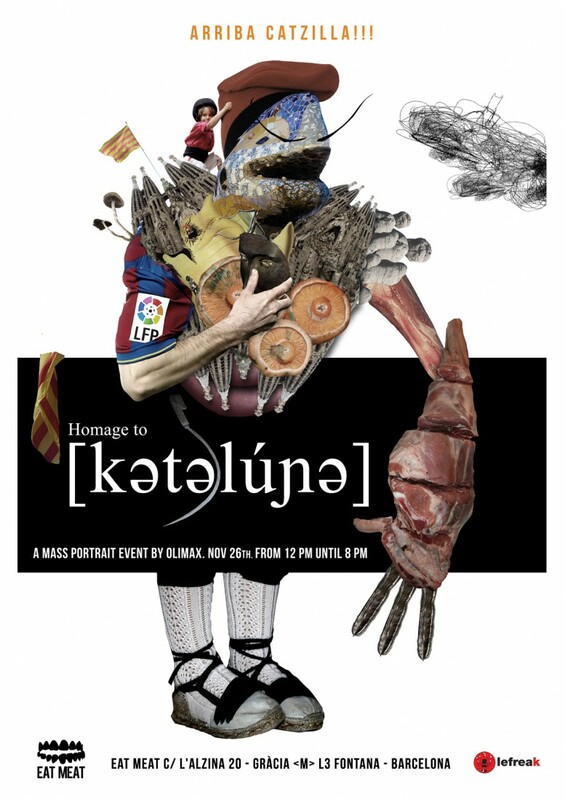 Portraits of 100 subjects were shot in a single day at the Homage to Catalunya event at the Eat Meat Raw gallery in Barcelona. This book is the result.